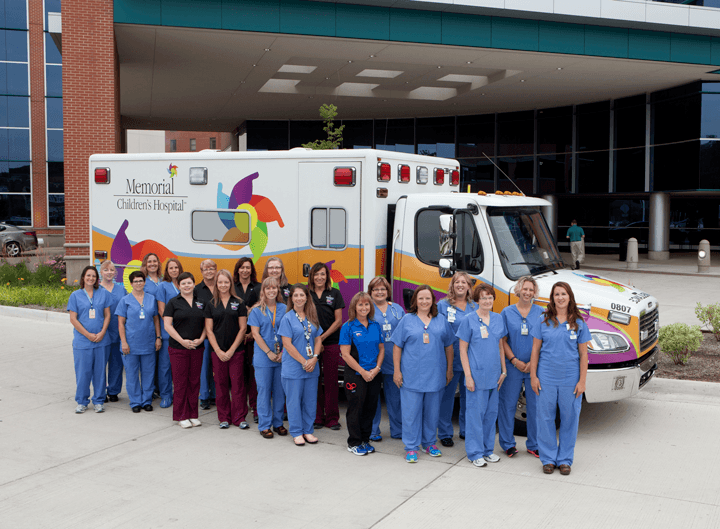 The Beacon Children’s Hospital Maternal Transport Program team is committed to providing excellence in obstetric care. As a Level III OB Unit, we are capable of caring for mothers at any gestation. With over 25 years of accepting transports, our staff began serving the region with a Maternal Transport Team in 2016. If you are interested in a maternal transport or consult, contact our Transfer Center at 866.262.4247. After providing a brief history you will be connected with one of our maternal retal medicine physicians. Once transport is accepted, our maternal transport team will prepare for transport. Once en route, they will call with an estimated time of arrival. After arrival, our team will introduce themselves, ask for a brief report and meet with the mom, family and providers to discuss a plan of care. Our maternal fetal medicine physicians oversee all transport activities. Physicians and referring hospitals will receive patient updates via fax during the mom’s stay at Memorial. This will include the discharge summary with a detailed plan for follow-up once the mom goes home. Or, you may call the perinatal outreach manager for a patient update. Beacon Children’s Hospital will provide referring hospitals with folders containing consent forms for transfer and treatment as well as family and visitor information. Please contact the perinatal outreach manager if you need additional folders. For questions about the Maternal Transport Team, please contact Jessica Shuppert, Perinatal & Pediatric Outreach Manager, at 574.647.1658 or gro.metsyshtlaehnocaeb@treppuhsj.